Life imitating art? 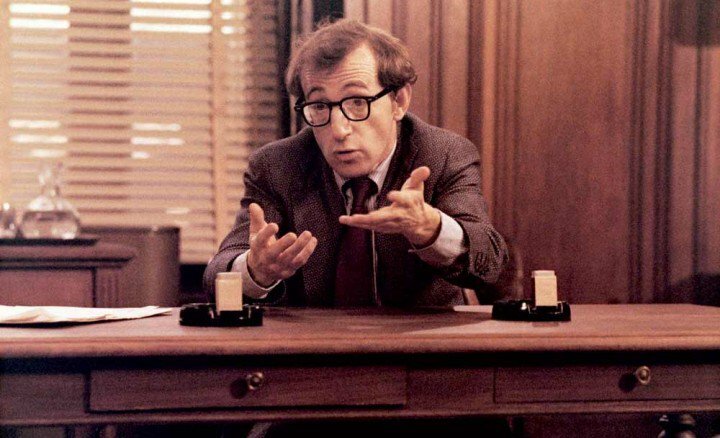 Woody in 1976’s classic, The Front (directed by Martin Ritt). The movie, whose principal actors, director and screenwriter (except for Woody Allen and the younger cast) were all blacklisted during the McCarthy period, was an unusually brave film for an industry riddled with opportunists and cowards. Lawyers for veteran filmmaker Woody Allen, 83, filed a suit Thursday in US District Court, Southern District of New York, against Amazon Studios for failing to distribute his already completed film, A Rainy Day in New York, and breaking a four-film agreement. The filing seeks $68 million in damages. Amazon’s refusal to distribute Allen’s film and honor its contract with him is a brazen act of censorship that is the direct product of the #MeToo witch hunt. If anything, this is a stepping up of the repressive campaign that has already led to the destruction of dozens of careers, the excision of actor Kevin Spacey from Ridley Scott’s All the Money in the World and the suppression of Louis C. K.’s film, I Love You, Daddy. Allen is a major figure in global filmmaking. It is perfectly legitimate for the lawsuit to argue that the writer-director “is one of the most critically acclaimed, iconic, and successful filmmakers in the history of motion pictures. Mr. Allen has made more than 50 films, earning honors and accolades around the world and generating substantial international box office receipts. Mr. Allen’s combination of critical and commercial success as a writer and director for over five decades is unparalleled in the film industry.” Allen now faces, for all intents and purposes, blacklisting, and a concerted attempt to drive him out of the film business. In fact, thanks to Amazon’s actions, 2018 was the first year since 1981 in which an Allen-directed film did not appear and only the third such year since 1971. 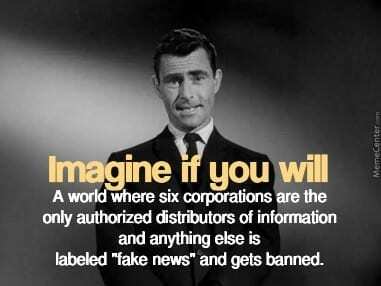 It is appalling, and there is no outcry in the media whatsoever. Allen is simply being treated contemptuously as one of those “high-profile men” who deserve their collective fate. To whatever extent possible, the reactionary #MeToo campaign is seeking to determine what and who the public will see. In an atmosphere redolent of the McCarthyite period, those merely accused of sexual misconduct have been stigmatized and their artistic efforts stifled. Amazon entered into a relationship with Allen in 2016, when it distributed his Café Society and later, his subsequent film, Wonder Wheel (2017). Amazon also produced his television mini-series, Crisis in Six Scenes (2016). However, the eruption of the sexual harassment campaign, initiated by denunciations of producer Harvey Weinstein in the New York Times and the New Yorkermagazine—by Allen’s son, Ronan Farrow—in October 2017, followed by Dylan Farrow’s renewed accusations promoted by the Times and the rest of the media, dramatically cooled Amazon’s ardor for a relationship with the writer-director. The film—shot in New York in September and October 2017—was still in post-production at the time and Allen and his company agreed to the delay. They then “completed the film, and continued to take steps to prepare for its release.” Allen also began planning the three other films he had agreed to write and direct for Amazon under the agreement they had. The “controversial comments” presumably refer to an interview Allen gave the BBC in October 2017 during which he observed that the “whole Harvey Weinstein thing is very sad for everybody involved … Tragic for the poor women that were involved, sad for Harvey that his life is so messed up.” He added, “You also don’t want it to lead to a witch hunt atmosphere, a Salem atmosphere, where every guy in an office who winks at a woman is suddenly having to call a lawyer to defend himself. That’s not right either.” It has become “controversial” to call attention to elementary legal and democratic rights. Allen has not been charged, much less convicted of any wrongdoing. Why should one be obliged to “see the consequences” of “alleged,” entirely unproven and perhaps invented “sexual misconduct”? David Walsh is wsws.org’s senior arts & culture critic, and America’s premier political cinema reviewer.